Note there are restricitions that apply: your term of residence, employment etc. Once approved you will be given a Trace Number; Print this number you will need this for reference with the DPS. This will also be your check list of what the DPS will need from you. If you were in the Military you will need a copy of your DD form 214 (Honorable Discharge). If you were born outside the United States you will need your birth documentation papers. If the DPS cannot use your Texas Drivers License or Texas ID picture you will have to get a Passport type picture and attach it to LTC-6.pdf form to send in. 2. You have to get your fingers prints taken though Identogo and then the FBI does a background check for the DPS. 3. 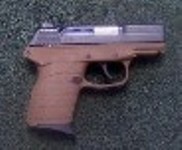 Sign up for a appoinment below to take the 4 to 6 hour LTC Class: You must pass a written and a Handgun range test. NOTE THAT FEES APPLY FOR THE ABOVE PLUS THE LTC CLASS FOR A NEW LTC! TOTAL $80 per person for Saturday or Sunday. Call 281-429-7590 to confirm appoinment and for Directions to Class. Class starts at 8:00AM on the Date you selected. Do Not be late!!! Payment is NON REFUNDABLE if you do not attend on the date you selected. If you cannot attend Class on the Date you selected it can be rescheduled if there is room for you a $25 fee applies per person. Open/Concealed Carry Handgun Training/Safety $50 per person for Class (2 Hour Class) and $15 Range Fee per person. Private LTC/CHL Classes by Appoinment ONLY Monday through Thursday Cost $100 per person. Semi-Automatic or Revolver of at least 22 caliber to 45 ACP. Revolver must not have "push off" on single action. All handguns should be in good working condition and have no modification(s) that will make the handgun unsafe. Handguns are subject to inspection by the Instructor or the Range Safety Officer. Be familiar with your handgun it is recommended you take your hangun to the range prior to the class and target practice with it at least 100 rounds. Holsters will not be used, handguns must be stored in a closed carry case/bag; no time allotted for zeroing handgun in this class or range. No optical sights allowed (example: scopes, laser, or holographic). Students must abide by all Instructor Instructions and Range Safety Rules. Failure to comply will result in immediate removal from the range and result in course failure. No family members, guests or pets will be allowed in the classroom or at the range. Clean and Oil your handgun after every target practice (Be Safe). NO RELOADED AMMUNITION WILL BE ALLOWED, and NO aluminum cases. If you do not see your brand of ammunition on this list, it is NOT approved! On the range, you will shoot the following qualification: 175 points out of a possible 250 qualifies you. You will need a minimum of 50 rounds, as well as additional ammunition should you fail to qualify the first time. 20 rounds at 9 feet, 20 rounds at 21 feet and 10 rounds at 45 feet. NO MANIPULATION OR HANDLING OF HANDGUNS IN THE PARKING LOTS! 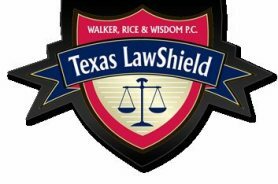 "BE SAFE AND BE SECURE"
"ACTIVE MEMBER OF TEXAS LAW SHIELD"